The Alaska Seafood Marketing Institute (ASMI) has announced a partnership with acclaimed chef, Alyn Williams, of the eponymous Alyn Williams at The Westbury in Mayfair, London and most recently, chef patron of The Wild Rabbit in the Cotswolds. 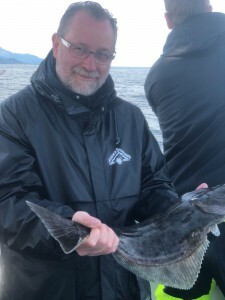 Alyn recently returned from ASMI’s annual international culinary retreat, which saw him fishing for halibut in Halibut Cove, foraging in Tutka Bay, sampling oysters and king crab and cooking one of Britain’s most loved plates of food – fish and chips for a group of international chefs and journalists. 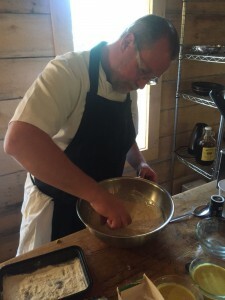 Known for his love of British produce – from both land and sea – it was Alyn’s interest in responsibly sourced and sustainable food that encouraged his participation in the trip and opened his mind to the possibility of incorporating line-caught wild fish from international waters on his menus. Alyn’s role as Ambassador will be two-pronged. Within food service, he will work with ASMI to educate young chefs on techniques of cooking with wild seafood using skills honed for many years working with seafood at Gordon Ramsey and under Marcus Wareing at Petrus. He will also run a series of consumer activities to encourage confidence in fish cookery and inspire creative at-home menu choices. 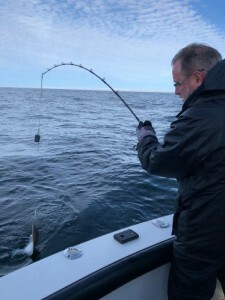 “I would say that I’m lucky to have experienced the fishing industry first-hand in Alaska. You don’t quite realise until you are there just how important the seafood is for the economy and the impact this has on the management of its waters. I also haven’t tasted fish quite like it, particularly the king crab and halibut that was translucent in colour. Just something you wouldn’t get here in the UK. For me, it’s simple. If the product matches the criteria you set and the quality is there, it’s a menu option. I’m looking forward to working with ASMI, trialling and testing the produce in both of my kitchens and having the positive impact the product rightly deserves,” said Alyn Williams. ASMI is a public-private partnership between the State of Alaska and the Alaska seafood industry, established to foster economic development. ASMI functions as a brand manager of the Alaska Seafood family of brands in 21 countries throughout Europe, Asia, and South America and maintains a prominent marketing program in the US. 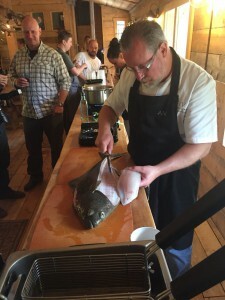 ASMI works to raise the value of Alaska’s seafood product portfolio through partnerships with retail grocers, foodservice distributors, restaurant chains, foodservice operators, universities, culinary schools, and the media.